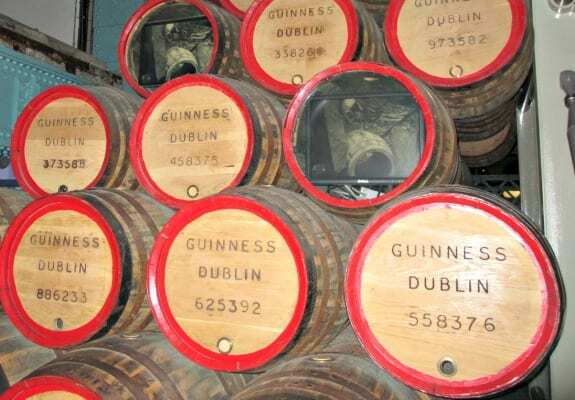 When the TBEX team did our site visit in Dublin, one of our favorite stops was The Guinness Storehouse. It wasn’t just the beer, though that was tasty, it was the innovative architecture, the warm friendliness of the people, and the fabulous view from the Gravity Bar on the top floor. We knew that our TBEX attendees would love the venue as much as we did, so we’ve very excited that our opening night party will be held there. A common expression in Ireland is Cead Mile Fáilte (pronounced cade meela fall-cha) – One hundred thousand welcomes. We look forward to welcoming you to explore Ireland’s number one visitor attraction, providing an unforgettable welcome and a magical journey deep into the heart of the world famous GUINNESS® brand. This historical building is central to Dublin’s and Ireland’s heritage, and has been continually updated to create a blend of fascinating industrial tradition with a contemporary edge. The seven floors bring to life the rich heritage of GUINNESS®, telling the story from its origins at St. James’s Gate in Dublin to its growth as a global brand known all around the world. The evening will feature some courses of the best of Irish cuisine, while you enjoy musicians and performers as you move through the floors of this impressive building. Surprising Irish entertainment with a modern twist of today will complement the evening’s theme of experiencing Living culture at its best. Your experience starts by standing at the bottom of the world’s largest pint glass, which rises up through the centre of the seven storey building. If full, the giant pint glass atrium would hold 14.3 million pints of GUINNESS®. At the bottom of the glass atrium you will see the 9,000 year lease that the founder Arthur Guinness signed with the St. James’s Gate Brewery in Dublin – the lease marks the beginning of the GUINNESS® story and is also the beginning of your journey through the world of GUINNESS®. 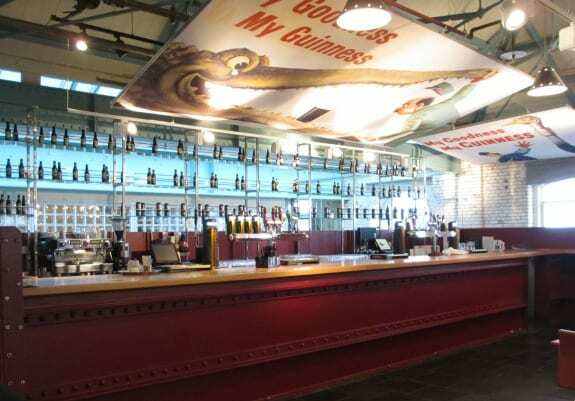 On the fourth floor you will have the opportunity to pour your very own Perfect Pint of GUINNESS®. Do you know how long it takes to pour a pint? Our experienced GUINNESS® Ambassadors will explain that to you as they teach you the craft of pouring the Perfect Pint. In Arthur’s Bar on the fifth floor, you will enjoy spectacular views of the St. James’s Gate Brewery as it goes about its daily task of brewing the millions of glasses of GUINNESS® beer that are consumed each day around the world. When you reach GRAVITY® Bar, as many have said, you have truly reached the top of the world. We invite you to take in the breathtaking panoramic 360° views of Dublin city and beyond. While here you can truly immerse yourself in the fun, friendly and warm atmosphere of The Guinness Storehouse, the Home of GUINNESS®. A wonderful dining and entertainment experience await you at TBEX 2013 – and a little bit of dancing too! But you have to be a registered to attend this sure-to-be-fabulous opening night event. Registration for TBEX Dublin is nearing capacity, so don’t wait till it’s too late. Sláinte! That’s Cheers in the Irish language. So excited! Can not wait to be in Dublin for the first time. What an amazing way to start off TBEX! What a great way to kick off the event. Plus, I haven’t seen the city from the Gravity Bar at night yet… it should be beautiful. It’s been YEARS since I have been at the Storehouse, so this is super exciting! Yes! I wanted to go there anyway and now it will more fun that the event is being held there!! This will surely bring back great memories. Great place for the party! The most perfect way to begin! I can not wait! Thank you so much for arranging this! I’ve heard a lot about the Guinness storehouse and I’m excited to get to see it for myself. Yes, the Gravity Bar makes that place :). It’s kind of in an odd secluded place, but it’s so worth it. This sounds awesome! Every time I tell someone I’m going to Ireland, they tell me to drink a pint for them while I’m there. I can’t possibly hold that much liquor :), but I’ll happily enjoy a Guinness in their honor. Maybe when I get home, I can skillfully pour them one, too. We’re super excited! We’ve been looking forward to draught pints of Guinness and can’t wait to return to the Storehouse. What a great environment for a party! What better place to get the flavor of Dublin started than a pint of Guinness right from the factory? Can’t wait to down one and get some craic flowing. So brilliant for our City to have TBEX here . Looking forward to a real pint of Guinness in its home where it is made. Love meeting all the people who have travelled to our Island..enjoy! It was a awesome party. 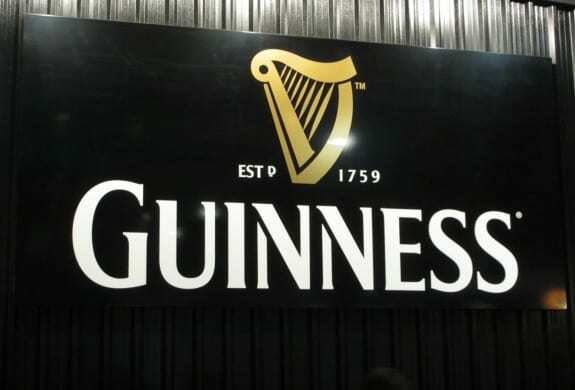 Thanks for this experience at the Guinnes Storehouse!